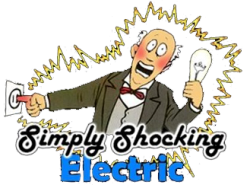 Simply Shocking Electric is here to fulfill your residential electrical car charger installation needs for those in the Oregon City OR and Portland OR areas. 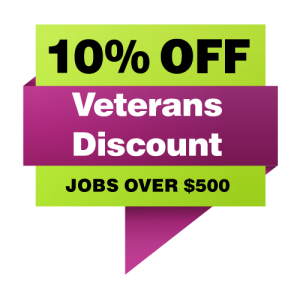 For licensed and certified home electric car charger installation, we have experience professionals to perform this important work. To protect the investment, you made with your electric car, proper installation of an at home charging system requires a trained electrician to ensure your warranty stays intact. Many EV manufacturers and EV charging station manufacturers will nullify the warranty if the designated equipment is not installed by a certified professional. Simply Shocking offers two levels of residential vehicle charging station installation. The first level of installation does not require a charging station. Instead this type of charging station is attached to the vehicle and simply requires a grounded 120 –Volt 20 Amp separate circuit that is installed by an experienced electrician. With this type of charging station, recharging can take upwards of 14 hours as the electric current is not particularly strong. The second level of installation provides exponentially more power compared to the first level, which decreases charging time by more than half that of level one. To enjoy the benefits of a faster charging time, a licensed electrician will need to install a dedicated 220-volt single phase grounded separate circuit. Installation for the 2 levels of residential electric vehicle charging stations normally do not take any longer than a few hours. In order to provide you with the best service possible, Simply Shocking will complete a site inspection, come up with a plan and provide you with a detailed quote. Next, we will petition for the appropriate electrical permits before installation begins. Once the permits are in hand, the installation process will commence and be specific to your vehicle’s manufacturer’s requirements. When installation is complete, we will test the car charging station. The licensed and certified electricians with Simply Shocking are qualified to conduct residential electrical car charger installation that is recognized by all EV manufacturers and EV charging station manufacturers. When you choose us for your certified home electric car charger installation needs, you are getting service that you can count on. Call us now for more information or to set up your site inspection today!